Welcome to all of you who are interested in worm composting! I’m about six months into worm composting and wanted to share some of the great things that I’ve learned since beginning. My outdoor compost bin is still going strong, but that seems to be going a bit slower than the worm composting bin we have indoors. 1. DON’T get a deep bin if you’re just starting out with a small amount of worms. I started with 500 and then added 1000 later, and I have a 10 gal Rubbermaid Roughneck tote. It cost less than $10 and allows me to keep control of my worms in the house. I’m sure that I may upgrade to a large bin, but it may be one that I can extract the compost tea from as well. We’ll talk about that later. 2. DO your research before you start composting. Make sure you know what items can and can’t go into your bins. For instance. No meat, fats, oils, eggs, or pesticide treated items should be put into your bin. They can kill the worms. You should also limit the amount of citrus that enters the bin. 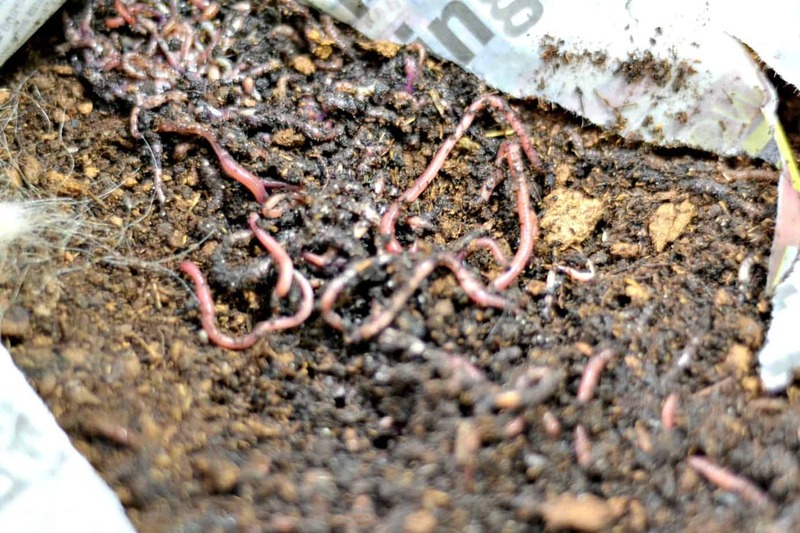 I learned that gem from my best friend who did worm composting when she lived in Florida. Believe it or not, the kids keep me on my toes about what I can and can’t put into the bin. The ladybug is also the reviewer of all things before they entire the bin. She wants to make sure that the worms are as healthy as can be. 4. Don’t throw your newspaper or cardboard away! Worms love those items as long as they have been moistened thoroughly. It provides great bedding and will be broken down later. 5. 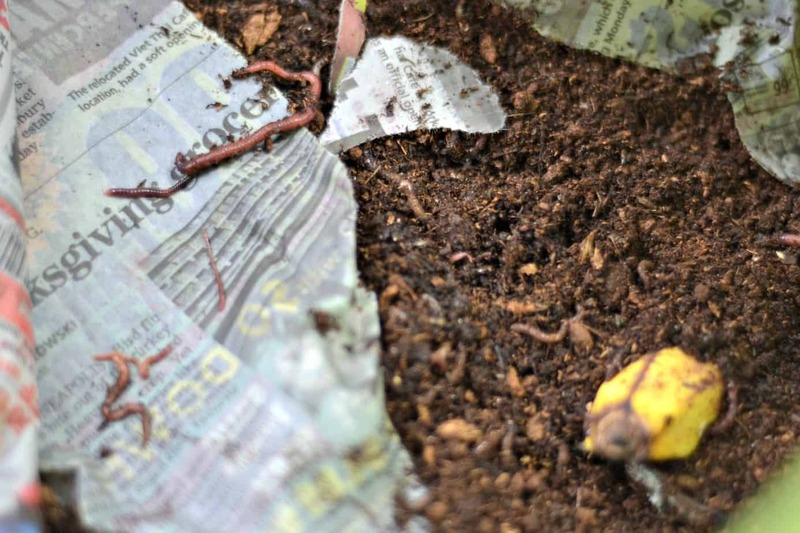 Get enough worms to properly process the number of scraps your family puts out. The recommendation is 1000 worms for every pound per day that your household puts out. To figure this out monitor it for a week and divide by seven. We have very little scraps lately, and I was actually surprised. 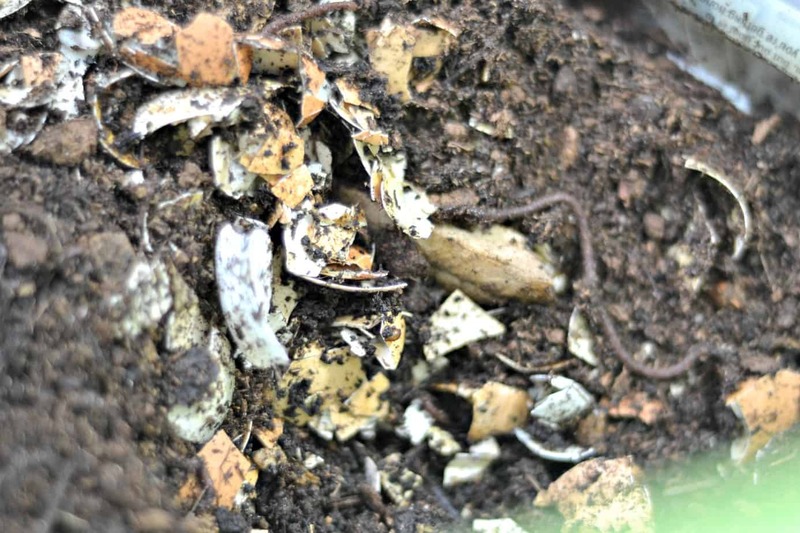 Most of our composting comes from eggshells, veggie peels and cardboard boxes that are ripped up. I don’t put many fruit peels in there since we can eat mostly everything. That’s about all I have for this post. I will make sure to update after the worms have multiplied and maybe even catch the birth of a couple of worms! It’s National Pollinator Week – Do You Support YOUR Pollinators?